Rítmica Dalcroze offers a campus full of artistic and educational opportunities through music and movement. Share and enjoy a few days with specialists and artists in different areas of education with a recognised professional career path in this field. - 9.30AM TO 1.30PM: Music, rhythm, movement and improvisation. Four day introduction or advancement in musical education through Dalcroze Eurhythmics. -3pm to 5pm: Pedagogy laboratories: Techniques, resources and materials for education improvement or innovation. Pablo Cernik. Higher Diploma in Dalcroze Eurhythmics (Jaques-Dalcroze Institute, Geneva). Lecturer at the Conservatorio de Buenos Aires. Argentina. Dorothea Weise. Graduate in Dalcroze Eurhythmics (National Music School of Cologne). Lecturer at the Arts University of Berlin. Germany. Françoise Beaujon. Graduate in Dalcroze Eurhythmics (Jaques-Dalcroze Institute, Geneva). Lecturer at the El Musical Music School Bellaterra, Spain. Eugènia Arús, Course director. Higher Diploma in Dalcroze Eurhythmics (Jaques-Dalcroze Institute, Geneva). Lecturer at the El Musical Music School Bellaterra, Spain. Núria Palau. 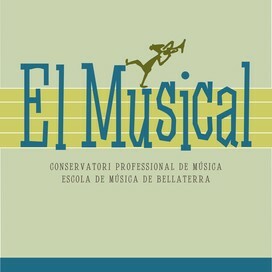 Bachelor’s Degree in Dalcroze Eurhythmics (El Musical Music School Bellaterra, Spain. ).